Student management in schools, colleges and such other educational institutions involve lot of paper work or the use of computer (Word, Excel, etc). These methods are not only time consuming but also not very efficient. Hence, many educational institutions have started using ECAS, i.e. Enhanced Campus Automation System. This software makes student management an easy affair because it has all the modules required for the administration of an educational institute. Admission: Often admission involves sorting through tons of admission forms manually. 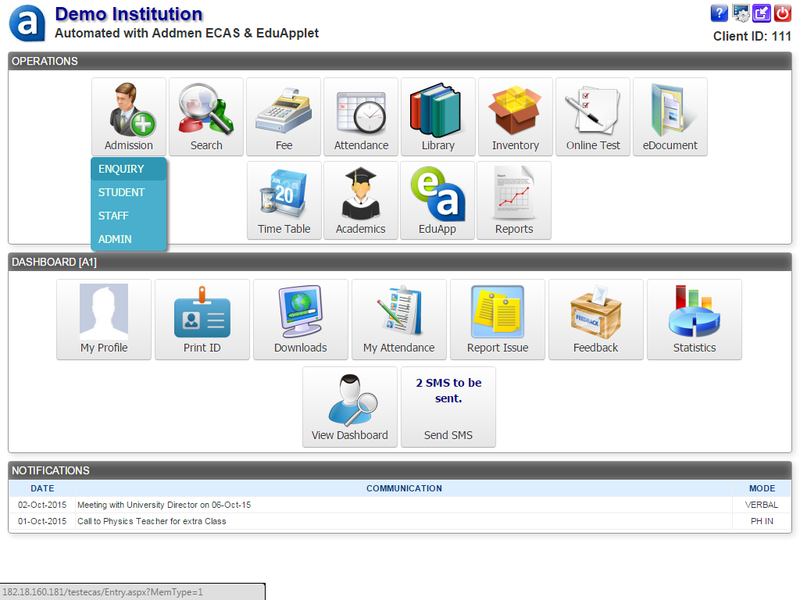 The Admission module of ECAS has a form which can be altered or changed as per your needs. You can add or alter the fields to suit your requirements. All the information regarding the student, including name, address, contact details, parents' name, course, marks achieved, etc. along with photograph can be saved in the software database. 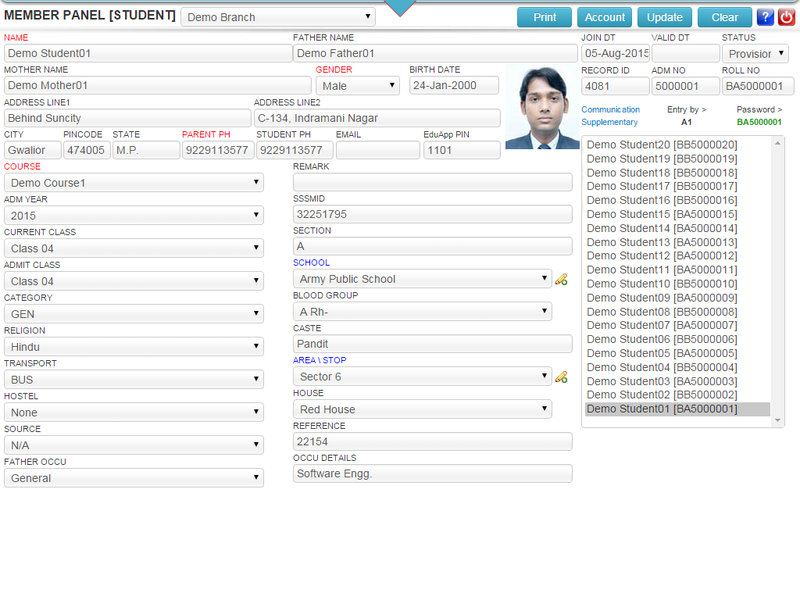 Search Interface: The software offers a Search module through which one can search for student details quickly. You can search for a particular student or a group of students by applying some specific filters. This system supports student search in any range, be it simple or complex. Identity Cards: This software makes the process of creating identity cards for the students easy. You do not need a different software or application for this purpose. You can choose the layout or design of the identity card and add the name of your institute and its logo. Once you have chosen the layout and the basic content, the software creates identity cards for the students registered in the system automatically. You can export these identity cards into PDF format and then get them printed. Attendance: Maintaining and checking student's attendance are no longer tedious processes. You do not have to manually enter each and every student's attendance into the computer system. The attendance records can be imported from an OMR attendance sheet or through the biometric system. You also have the option of marking only the absentees and those present would be marked automatically. Apart from the above given modules, the software helps in library management, hostel management, transport management, report management and everything that is related to students. By getting the Enhanced Campus Automation Software, you will be able to manage all the activities related to student management.